The Greater Springfield Chamber of Commerce and presenting sponsor Hanson Professional Services, Inc., will host the second annual elected officials reception on Thursday, Sept. 21, from 5-7 p.m., at the Illinois Association of REALTORS, 522 S. Fifth St. This event is designed to provide Chamber members the opportunity to network and interact face-to-face with those who have been elected to serve our community. 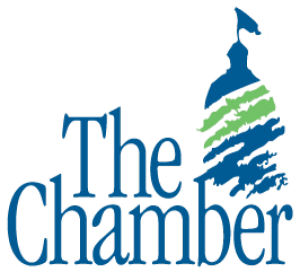 By granting members direct access to these officials, the Chamber encourages its members to make their voices heard and assume more proactive roles in shaping policies that impact the economy of and life in Sangamon County. The reception will feature a wide variety of elected officials such as Sangamon County Sheriff Wes Barr, the Springfield Park District’s Leslie Sgro, Ward 6 Alderman Kristin DiCenso, Sangamon County Treasurer Tom Cavanaugh and others. Admission to the elected officials reception costs $10 and is open to Chamber members only. For more information about this event, contact Ashley at 525-1173 or aearnest@gscc.org. For more information about the Greater Springfield Chamber of Commerce, including a link to membership application, visit http://gscc.org.